Originally, usb version 1.1 was only capable of speeds up to 12mb/s. This is fine for mice and keyboards but just adequate for 2 channels (stereo) 24 bits 96khz audio. And that’s either input, or output. Not both at the same time. It is not full duplex. Because of this, most usb audio devices are limited to 48khz in and out. On top of that, PC’s with 1.1 ports are often not very quick and can have trouble with extra audio traffic. I have an old Mac Powerbook G3 with 400mhz oprocessor and 256mb ram. This really should be fine for cd quality audio. 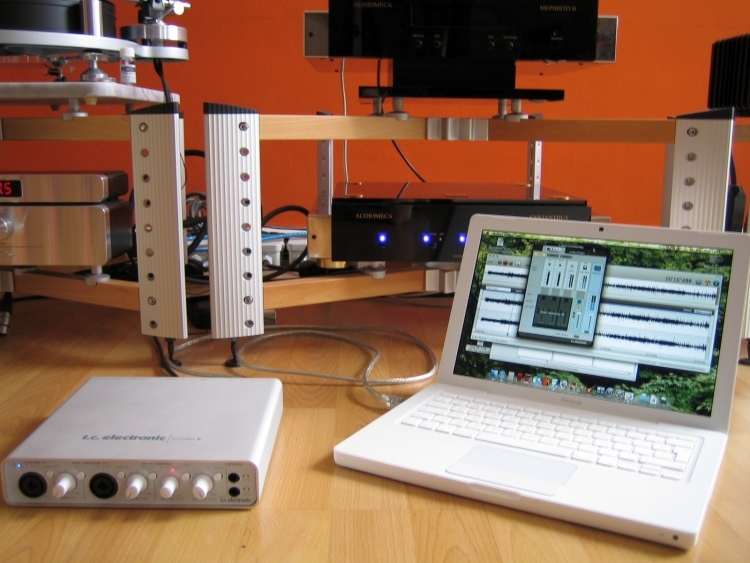 But once you connect an external USB audio interface the macbook becomes irritatingly slow, the fan comes on etc. Sound drops out and skips. It just doesn’t work. I tried this with both an Indigo I/O PCMCIA card as with the Edirol-25 usb interface. Both cards were compatible on specs but in practice it doesn’t really work. USB 2.0 solves a lot of these problems. The data traffic is now 500mb/s maximum. Now you can easily transfer high quality audio in full duplex. But still USB is not the best choice. This is because usb is implemented in software. The port has to ask the processor for permission to send data. And it has to share a certain bandwidth with lots of other interface-traffic. Therefore, the 500mb/s speed cannot be guaranteed. In practice this is rarely really a problem because pc’s are very fast these days but if you want the most reliable connection, USB isn’t it. Also, laptops are tuned to be silent as long as you don’t ask too much of them but the continuous data over usb takes quite a bit of processor cycles and they can start whirring their internal fans which can be quite annoying. In my case, even the recent Macbook 2ghz isn’t completely immune to this. With usb that is. Firewire is another story. Regular firewire has a datarate of almost 500mb/s, just slightly more than usb 2.0. But because this functionality is implemented in hardware as an independent port, this speed is guaranteed. The interface doesn’t have to communicate with the processor all the time. That makes the firewire interface both faster and more reliable. There is now also firewire 800 which is double as fast. But also when connecting an external firewire interface to my white macbook 2ghz, you notice that the ‘book has to work a little harder because the fan now becomes noticable. This is perhaps a driver thing. The Mac sees an external appliance and preventively boosts on cooling. That’s what it looks like. So be warned: for example using an Apogee Duet firewire interface with the Macbook works excellently, but the fan is just that little more noticeable. Depending on your recording method (microphones?) this can become a problem. 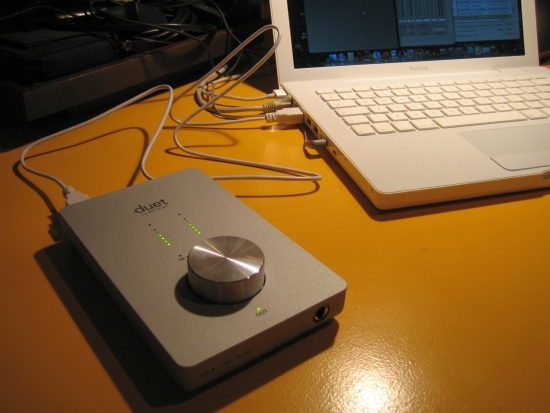 I use the Macbook with an Apogee Duet for lp recording. During listening I never hear the fan because there’s music playing. So it’s relative. To break it down right now: if you plan on using the external interface for audio playback, as well as recording, not just any audio interface will do. 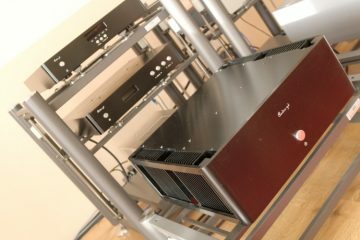 Sure, most appliances provide a somewhat better sound than the inbuilt soundcard, but if it’s really good quality you’re after, and you want to replace your separate DAC: Apogee Duet is the one to go for. 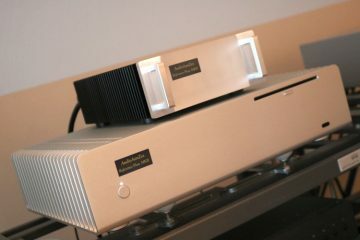 Where all other devices tested had thin and flat sound, the Apogee had real bass and colour and is nicely relaxed. Almost like a good cd player. 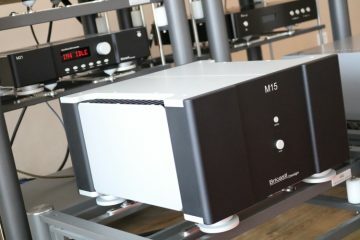 It won’t replace an audiophile 5000 euro dac, or even a 2000 euro one, but it’s definitely very good. Its faults are of omission only, there’s nothing it does really wrong. If you plan to use the interface for recording only, then you have more choice. This is partly so because manufacturers may choose to pay more attetion to recording than playback to save costs, like Apogee do. It’s also a matter of ease of conversion. It’s much easier to do proper A to D conversion than the other way around. 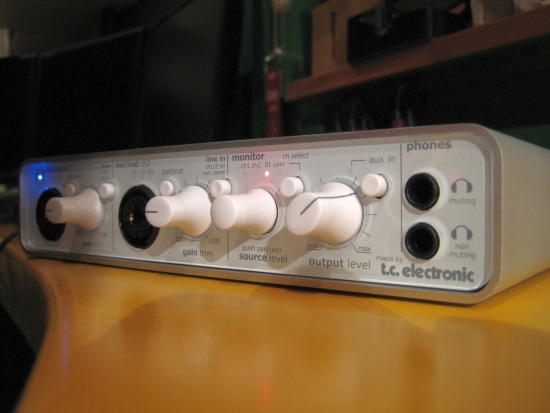 Even a very affordable semi-professional EMU1212M soundcard can make excellent analogue recordings. If you then use this card’s digital output (coax!!!) 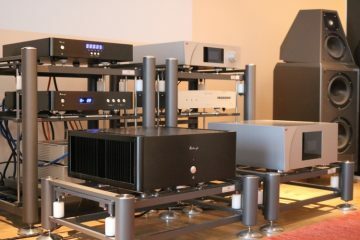 and feed it into a quality dac all is fine. The Apogee doesn’t really improve on that. It does improve on the quality of the microphone preamps, but since I use the Apogee for lp recording via line input, for me this isn’t much of an issue. Until recently I wasn’t very convinced by devices that used USB or firewire but the first USB interface that I heard that sounds really very good, and provides an s/pdif output even better than my EMU1212M’s, is the M2Tech HiFace EVO. 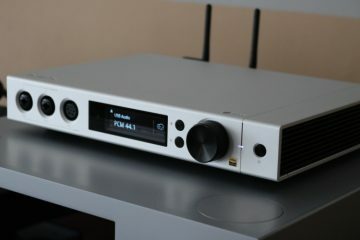 Another device that amazed me recently (december 2010) was the Ayre QB-9 USB DAC. This device uses asynchronous USB transfer and uses its own very stable clock as a master, not relying on the clock in the computer. The Ayre even outclasses my HiFace EVO+Levinson no.360S dac combination inmatters airyness, smoothness and complete lack of electronic signature. This is simply a very good device. Sure it costs a bit of money, but you get your money’s worth. 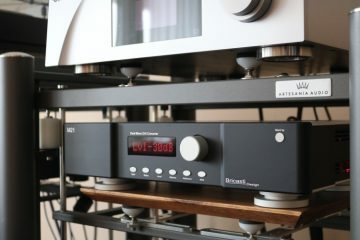 Both AD and DA conversion is done at a very high level but the analogue output is single ended only. This is a conscious decision by the maker, in order to save costs on a feature that may not be used much. 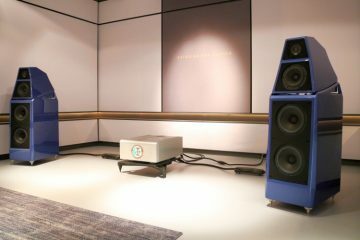 Of course it doesn’t beat an Audiomeca or Wadia dac but the price difference is in these cases completely out of whack. So that’s not a fair comparison to make. 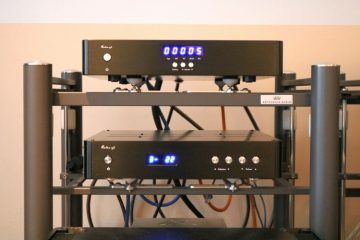 But the Apogee preamps are much better than those in most AD cards or external devices. Especially if you need extra gain, for example when plugging in microphones or guitars directly, there’s no beating the Apogee. Unless you spend multiples. More affordable soundcards/interfaces usually have ok line inputs but as soon as you need gain, they get thin and screetchy. 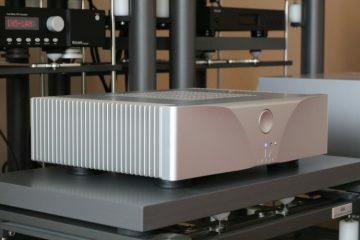 To top off its impressive performance, the Apogee also has a very good user interface. The integration with the operating system is flawless and really intuitive. Only downside: it only works with Mac. This interface is actually pretty good for the money. Lots of settings and a nice face. 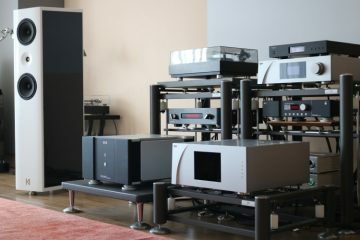 The sound is good, but more analytical than that of the Apogee. It may be more precise but is also dryer and less involving. Both analog in as analog out the interface sound more upfront and less colourful, less full than the Apogee. Recorded sound is very detailed and lively but slightly too forward and analytical for my taste. A downside is that the gain isn’t ajustable for the line inputs at the back. If you use the front inputs there’s gain but because these inputs are also used as microphone inputs, there is an extra gainstage, and this stage sounds a lot thinner than Apogee’s. The analog output was also not impressive: more or less on par with a standard Soundblaster card. For this kind of money (200 euro) it is a fine interface that offers comprehensive options but soundwise it’s pretty basic and mediocre in quality. It does however support 24/94. This is a PCMCIA card, especially meant for use in laptops. It is very compact and actually not bad at all. 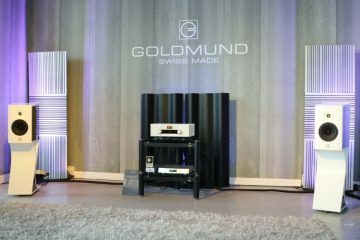 Especially the analog output is a lot better than the standard built in output: much warmer and fuller. But features are limited. 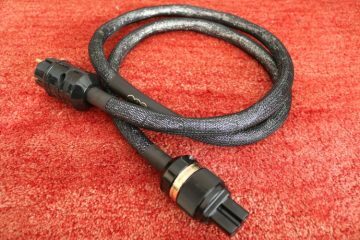 For example there are only 1 mini jack input and 1 mini jack output. It supports 24/94. Next Recording LP’s: digital or analog?